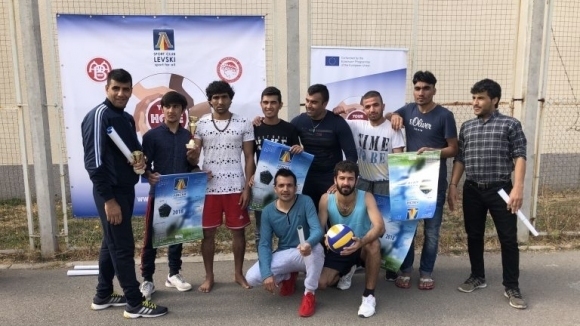 Levski multisport events for refugees! Levski-Sport for All organized multisport events in the "Special home for temporary accommodation of foreigners - Sofia''. More than 100 foreigners participated in football, volleyball and badminton and special classes were held for the youngest inhabitants. The organizers also awarded numerous awards and gifts to the hosts and participants. The President of Levski-Sport For All, Lucien Veltchev and the General Secretary, Vanina Milanova donated sport equipment to the refugees that live in this refugee center. This initiative was also supported by the National Sport Association and the Direction of Migration of the Ministry of Interior. 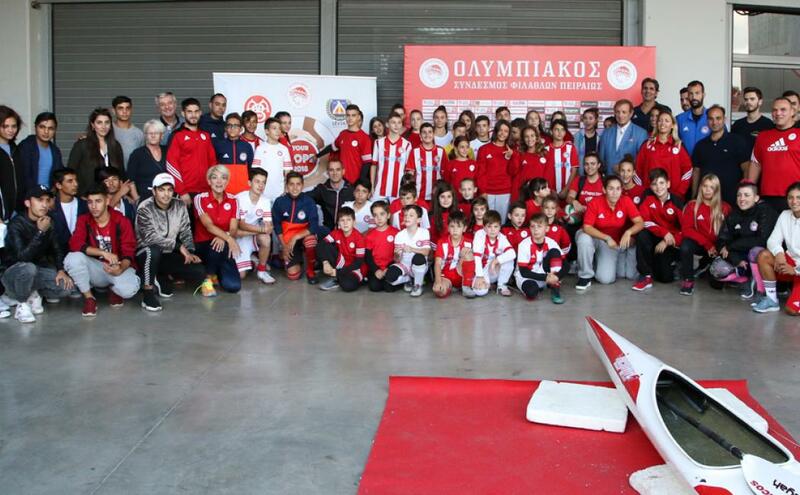 Olympiacos organized an impressive event on Wednesday (26/9) and sent a double message for the social integration of refugees through sport and the encouragement of the participation in sport activities. 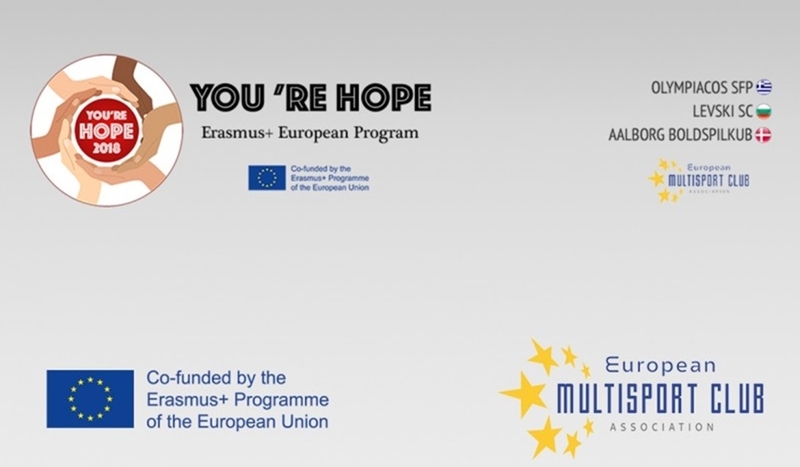 Our club, which coordinates the ‘’You’re Hope’’ project and participates in the #BeActive action, had an active role in the European week of sport. 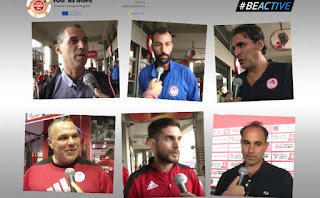 Olympiacos participated in the European action ‘’#BeActive’’ as a part of the European Week of Sport (23-30 September) for the fourth consecutive year. The club organized an impressive multisport event in the surrounding area of the Martial Arts at the Stadium ‘’G. Karaiskakis’’ with the participation of the Academies of Martial Arts, volleyball, athletics, table tennis, rowing and kayaking. A special mention should be made to the participation of the Academy of the football department which supported this initiative actively. The implementation of the main stage of the "You're Hope" project was carried out with great success at the sports facilities of the Martial Arts department. Olympiacos organized a multisport event for young refugees in order to engage with sport and promote their social integration in the local community of Piraeus. 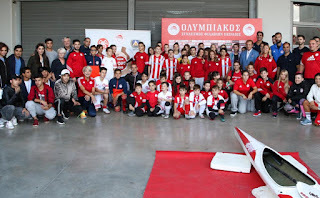 The young refugees had the opportunity to practice a wide range of sports under the guidance of Olympiacos coaches while the attendees were informed about the action and its expected impact on society. 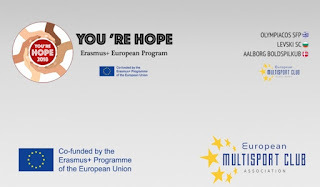 The European project ‘’You’re Hope’’ - which Olympiacos is the main coordinator - continues with the main stage of its implementation which involves the organization of multisport activities for refugees. Olympiacos participates in the European Week of Sport and the action ‘’#BeActive’’ under the auspices of the European Commission and the General Secretary of Sport for the fourth consecutive year.